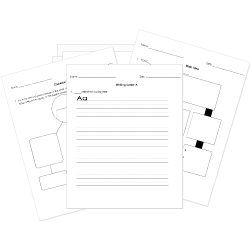 You can create printable tests and worksheets from these Writing questions! Select one or more questions using the checkboxes above each question. Then click the add selected questions to a test button before moving to another page. When is a paragraph considered unified? As Hallie wrote, tears drips onto the paper in front of her. She misses her best friend, Alexandra so much. Alexandra move to California two months ago. Even though the two girls frequently talking on the phone and wrote letters to each other, it just wasn’t the same. Hallie still feels sad every time she had to tell Alexandra something in writing instead of in person. Today, Hallie felt especially sad writing Alexandra because the thing she has to told her was bad news. Hallie’s cat, Bells, had die. Both Alexandra and Hallie loving to play with Bells. Writing about life without Bells made all of Hallie’s sadness come back. What does the writer need to focus on editing in this paragraph? Make the necessary corrections to the paragraph. Which sentence helps readers form a detailed picture in their minds? The great baking smell in the house made us get to the kitchen really quickly. The delicious smell of baking cookies brought us racing eagerly to the kitchen. The wonderful smell of something baking in the oven brought us together fast. The smell of stuff that was cooking in the kitchen called all of us there very fast. Sarah and Lizbeth are doing research projects on how texting while driving affects the brain. They come across a blog that explains, in detail, how a six year old was killed because of a teen who was texting and driving. Is this source appropriate for their project. Yes, because the blog is about texting and driving. Yes because the blog explains the event in detail. No because the blog does not give any information on the effects that texting while driving has on the brain. No because a six year old's brain isn't fully developed yet so the evidence would be invalid. What does the writer need to focus on when editing this paragraph? What is the best definition of a fact? (1)I never thought it would happen to me. (2) Nevertheless, it did! (3)I saw a UFO! (4) I read lots and lots of books about UFOs, but my parents told me there was no such thing as aliens. (5)I looked out of the window and saw a big circle with ten lights. (6)A door opened, and a little green man came out. Where should the following sentence be added to this paragraph? Which thesis statement is stronger? Pollution has decreased significantly over the last ten years. 25% of the federal budget should be spent on reducing pollution. Fauntleroy wanted to be as ferocious dragon like his father? He had learned from an early age that dragons were meant to destroy things! One day while he was playing in the forest. A little girl came along. “Sure.” said Fauntleroy immediately forgetting everything his father told him about befriending people! What does the writer need to focus on editing this paragraph? You are working on an argumentative essay about the Holocaust. You have sources that contain logos and ethos, but you need some that have pathos. What type of source could contain pathos? What does a copy editor do in a typical newsroom? (1)The neighbor went and got a hammer and some nails from his house. (2)He and the troll nailed the logs on top of the posts. (3)“Would you like to come into my house for some milk and cookies?” he asked his neighbor. “When the fence was all finished, the troll smiled." Johnathan is doing research for a health and wellness project. He notices that it is difficult to find some credible sources on his topic. He finally comes across the perfect source, but it has not been updated since 1999. Should he still use it? Yes, because there are not many sources out there. Yes, because teachers do not check students sources anyway. No, because the year 1999 was not a credible year for research. No, because the source is not current and could contain outdated information. (1)The troll was not happy. (2)He had been trying to build a fence around his home for days, but it kept falling over. (3)You see, the troll didn’t like anyone. (4)He wanted to build a fence so none of his neighbors could visit him. (5) He dug holes in the ground and put the posts in them. (6) Then he laid long logs on top of the posts, but the logs kept falling down. Transitions are important phrases and words in writing because they help create flow and continuity between your sentences, paragraphs and ideas. Is the following an attention grabber (hook) or thesis statement? Because of their loyalty, dogs make better companions than cats. Good argumentative writing should be written in first person because the writer's opinion is the most important. cats eat less than dogs. dogs are fun to play with.